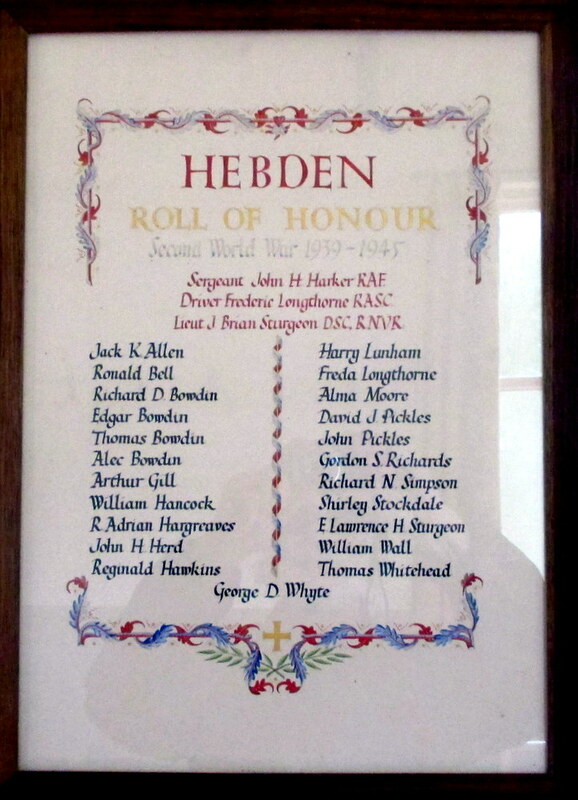 There are two identical hand-written framed Roles of Honour recording the names of those associated with Hebden who served in World War 2. One is on the north wall of St. Peter's Church and the other is on the wall in the Ibbotson Institute - the village hall. The three men who died are listed above the others. The names below are transcribed in the order they appear on the Role of Honour. 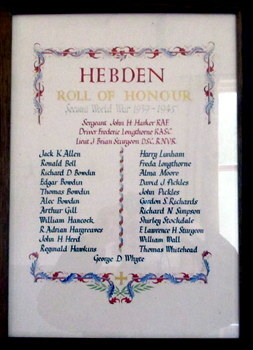 World War 2 Role of Honour in St. Peter's Church, Hebden. Harker, John Hammond Sergeant Royal Air Force 10/02/1942 Son of Richard & Elizabeth Harker, husband of Muriel Harker (née Whitehead). Sturgeon, John Brian (DSC) Lieutenant Royal Naval Volunteer Reserve 03/04/1944 Son of Robert & Dorothy Sturgeon of Hole Bottom; husband of Esme V M Sturgeon (née Byas). 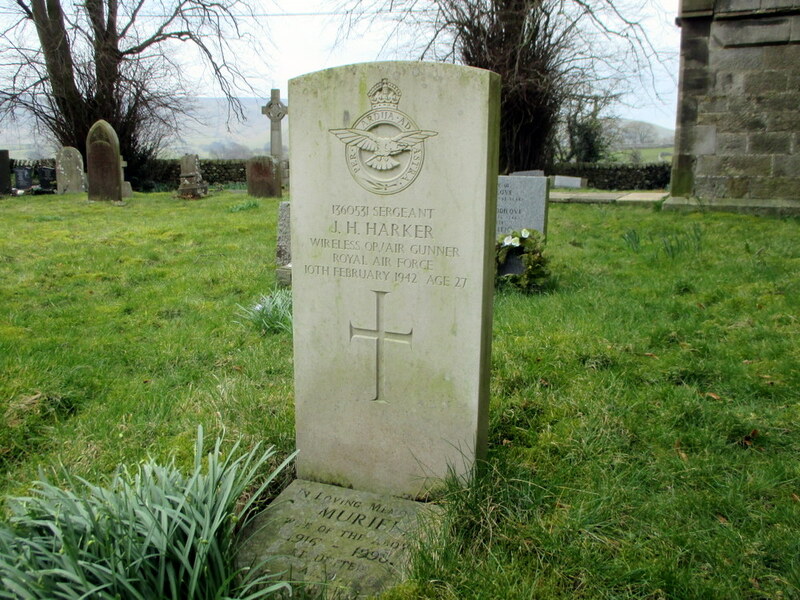 There is one Commonwealth war grave maintained in St. Peter's graveyard - that of Sergeant John Hammond Harker of the Royal Auxiliary Air Force who died during a night flying exercise at Brayspool, Ponterbryd, in Cardiganshire on 10th February 1942, aged 27. See here for details of the Commonwealth war grave, and here for further details of the flying incident. Sergeant John Harker's Commonwealth War Grave, St. Peter's Church, Hebden.